Being part of the RS Tera class is exciting! Both from a sailor’s perspective and that of coaches, parents and other outside influencers who all put so much energy into its success. RS Tera programmes and events foster the development of many young people, but equally they create a fun environment for everyone involved! The RS Tera certainly provides the “fun” element in bundles, in addition to some of the most competitive single-handed junior racing in the UK. 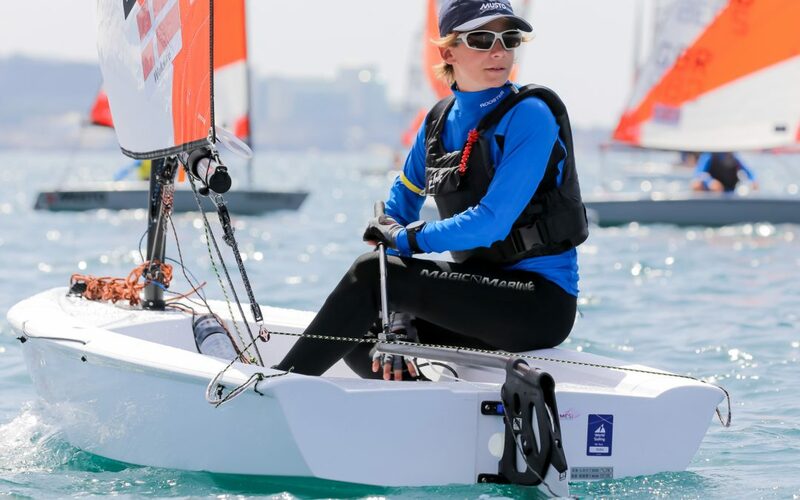 As a pathway class recognised by the RYA for hardworking young sailors, the RS Tera offers the chance for young people to really apply themselves, developing advanced racing techniques and training amongst the best in their region. Many fanatical RS Tera sailors will no doubt be aware of the development of the Mk2 RS Tera hull. This is now in full production, as a result of RS Sailing’s continued desire to perfect its products. Despite the improvements, we would like to reassure current owners of the MK1 RS Tera that the hull and deck shape remain fundamentally the same, the underwater profile is identical and all the spars, foils and sails for the RS Tera compatible with the MK2 hull. We can confidently assure owners that no boats will become obsolete as a result of our upgrades. The Mk2 boat is still very much an RS Tera, thanks to following the class rules and computer aided technology to obtain 3D scans of the hull. Toe strap – The new Mk2 Tera has a more durable and comfortable hiking strap with an adjustable webbing strap. So, why buy a Mk2 RS Tera? And how would an RS Tera part exchange work? The simple process of part exchange is where one of the RS Sailing team make an evaluation of your boat and take that figure from the cost of purchasing a brand new Mk2 RS Tera. We’re sure that your old RS Tera could be the perfect starter boat for the next little Tera! Additionally, in keeping with the RS Sailing culture, we know you’d love to share the knowledge you’ve gained from years of RS Tera sailing with new members of the RS family. That’s why, we’d love to make you a Mk2 Mentor! We will put you in touch with the family who purchased your old boat, so you can give them tips, hints and advice based on your own experience on how they can get the best experience from their new RS Tera.